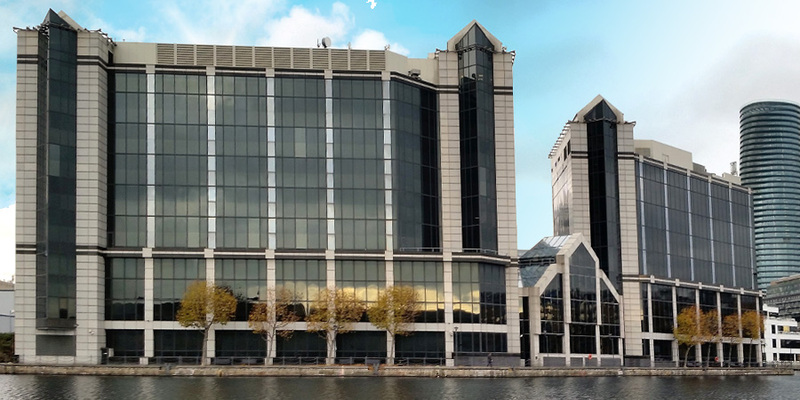 With 3kVA per cabinet, Telstra’s London Hosting Centre (LHC) offers a balance of reasonable connectivity choice allied with relatively decent power specification per cabinet – indeed, the site was probably the first in Docklands to offer anything more than a paltry 10Amps. Colocation capacity is available either as private dedicated suites of varying sizes or on an individual cabinet basis, either directly via Telstra or through managed service providers within the facility. There is some flexibility to offer both data halls and some office accommodation for staff. Access to financial trading exchanges such as BATS Europe is another feature. This site was the first to offer an alternative colocation facility to Telehouse, and was operational in early 1999. It was originally a speculative development, but was acquired by US hosting company PSINet in late 1999 for some £30m. PSINet then filed for Chapter 11 in June 2001 and Australian PTT Telstra acquired PSINet UK in September 2004, including the London Hosting Centre. Early tenants included Digital Island (acquired by Cable and Wireless and then Vodafone), FLAG (now part of Reliance/Global Cloud Exchange) and Savvis (now part of Centurylink). The facility offers 115,000 sq ft of net technical capacity across 8 floors in a retrofitted office building. Like all Docklands facilities, because of the age of the site, network choice is fairly strong in LHC but not quite as good as the carrier-neutral sites nearby operated by Telecity/Equinix, DRT or Telehouse. Furthermore, with respect to power, Telstra did a lot of work in upgrading the site from its original 300W/sq m to be able to offer 16Amps per cabinet by 2007, and many local ISPs and hosting companies took full advantage of this especially during the strong growth years of 2007 onwards.